We have successfully operated charters and non-scheduled air transport services since 1993. Our charters cover the majority of the African continent making use of a full “turbine fleet”. We utilize aircraft like the King Air 90 all the way to the largest privately operated turbine aircraft in Namibia, the Beechcraft 1900. We have successfully operated in regions from Southern to Northern Africa. For contract work we make extensive use of Cessna Grand Caravans and pressurized turboprops like the Beechcraft King Air series. Concentrating on the corporate charter sector we are offering packages together with car rental companies and Learjet Charters, between Lanseria and Eros Airport. For local charters the most popular and cost effective aircraft is the King Air 90, larger single and multi-engine aircraft include C208 Cessna Grand Caravans and Beechcraft 1900. 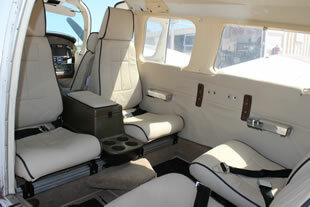 For larger groups and executive charters we can offer you a variety of turbine and jet powered aircraft. Our Operating License includes census and game capturing operations as well as special cargo flights, medivac flights and photography. Our operations include a variety of helicopters like, Bell Jet Ranger and Bo-105’s, for various specialized operations. Filming, game footage, medevac and off-shore crew changes are done regularly. 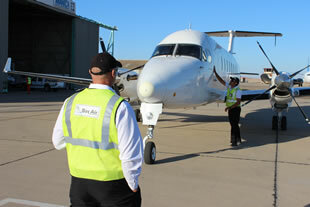 We can arrange charter flights on short notice to any place within Southern Africa.